As future Queen and Guardian of the Elements, Princess Skylather’cha’eab thought her worst nightmare was the impending find-a-husband party until events take an ominous turn. Now she must put her life at risk to save her Kingdom. Armed with only a staff, a bow, and her wits, Skyla’s world is turned upside-down when she enters the Crossroads and encounters the beast she’s destined to kill. Does she have the courage to sort truth from lie, or will she die not knowing who betrayed her? Since her mother’s tragic death, Princess Skylather’cha’eab has done a pretty successful job of avoiding her inescapable destiny. As her mother’s only female heir, at the age of eighteen Skyla will inherit the title of queen, as well as the goddess Hecate’s mantle of protector of the four sacred elements – Earth, Wind, Water and Fire. Skyla, only eight-years-old when her mother passed has had no one to guide her in magical instruction. She’s become complacent about her role in the kingdom’s affairs, and is riddled with doubts about herself and her ability to wield the elements and rule a kingdom. However, when her father’s life is threatened by the neighboring Shadow Kingdom, she is forced to undertake a quest through the Crossroads – where the four elemental kingdoms connect – to find and kill a powerful monster that has been unleashed upon their world. Along the way she finds new allies, faces strange and unknown dangers, uncovers lies and betrayals, and discovers truths that will set her free. While I think that the premise of this novel had the makings for a great story and while certain parts of this novel really shone, unfortunately Tempest Child wasn’t quite what I had hoped it would be. My biggest issues, and I’m sure this won’t be a shock to any of you, is with the character and relationship development. While admittedly, there is development that goes on particularly in regard to Skyla’s character – she definitely isn’t the same person at the end that she was at the beginning – there just was not a very strong connection with her on my part. She isn’t a character that held a lot of depth and interest for me. Her mother’s death, her fears of ruling a kingdom, her role of “reluctant hero” in addition to the myriad of other things that befall her, all provide great opportunities to really dig deep into her character – to really create that emotional connection. But I don’t feel like these instances are really capitalized on. Instead, despite the development that does occur, Skyla just remains a very all-on-the-surface character to me. Interwoven with the character issues is the relationship development. The two relationships that I thought Eno establishes well are that of Skyla & Izzy (her best friend) and Skyla & her father. It is evident from the outset, what kind of relationship Skyla has with each of these characters. 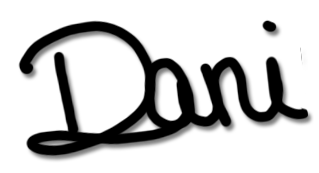 However, when it comes to the love interest, who shall remain nameless, unfortunately that same thoroughness is lacking. Skyla and her leading man are two people who have the potential to have some really believable, valid conflict for various, unexplainable spoiler-ish reasons. I would love to have seen more of a period of distrust and contention between them. It would have made their relationship more authentic, more exciting, more hard won. It had all the beginnings of a good romance, but instead, after an extremely brief blip of clashing wills, insta-love pretty much takes over. Story-wise, the plot is fairly interesting. It’s fast-paced and full of adventure — a pretty simple storyline of the Hero’s, or in this case the Heroine’s, journey or quest. I did feel like some of the twists, turns, and revelations came off as a tad anticlimactic, and at others I wondered if it had lost it’s way a bit. But as Skyla finds herself catapulted from one perilous situation after another, it did keep my nose glued to my Kindle, and that’s saying something. 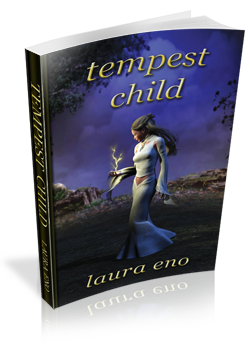 Where Eno really shines in Tempest Child is her world building of the four elemental kingdoms. She creates these gorgeous, detailed dreamscapes with such vibrant descriptions. Sometimes it’s hard to imagine fantasy worlds, because sometimes they are just so far out there. But from an ethereal, star-filled cave, to beautiful floating islands in an endless sky, to plains of molten fire, I had no problem imagining the landscapes through which Skyla and her companions had to travel thanks to Eno’s wonderful, evocative descriptions. Overall, Tempest Child was a bit of a mixed bag for me – the character development and romance being somewhat lackluster, but the world and story interesting enough to keep me engaged until the end. I’m torn on whether I want to read this or not. The world descriptions sound awesome. I think I’d like much of this book. But I think it would bother me if the romance wasn’t believable.